The significance of translation in our daily life is widely multidimensional. Translation paves the way for international interaction progress, which is a basic indispensable need. The “Translation Service “project’s idea is to connect translator to customer and facilitate transactions made between them via Smart Contract TRC built on the Ethereum Network , utilizing Token in payment and purchase processes against translation services, whether text translation , video translation, translating works of a certain artist, personal documents, or other translation services, all of which are to be free of charge without any commissions , fees or paid subscriptions imposed on the translator or customer. The significance of translation in our daily life is widely multidimensional. Translation paves the way for international interaction progress, which is a basic indispensable need. The “Translation Service “project’s idea is to connect translator to customer and facilitate transactions made between them via Smart Contract TRC built on the Ethereum Network , utilizing Token in payment and purchase processes against translation services, whether text translation , video translation, translating works of a certain artist, personal documents, or other translation services, all of which are to be free of charge without any commissions , fees or paid subscriptions imposed on the translator or customer . ADDING TRC TOKEN TO MANY EXCHANGE PLATFORMS. LAUNCHING PROJECT'S BETA AND MONITORING (TRANSLATORS-CUSTOMERS) INTERACTION. LAUNCHING FINAL VERSION WHICH EFFECTIVELY AND SAFELY CONNECTS TRANSLATORS AND CUSTOMERS TOGETHER. 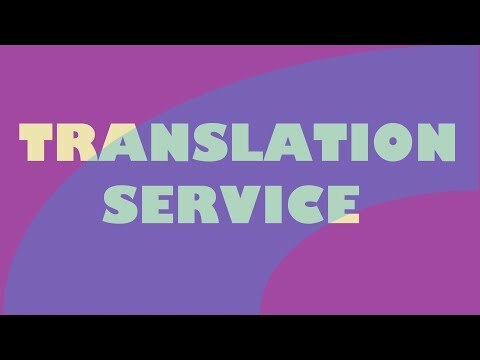 REACHING A TRANSLATION SITE USERS NUMBER OF 10,000 CLIENTS. REACHING A TRANSLATION SITE USERS NUMBER OF 20,000 CLIENTS.